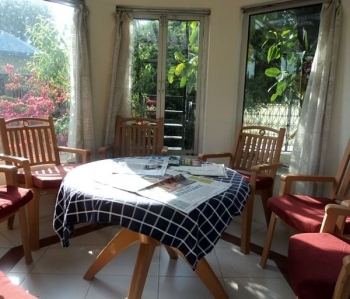 Lansdowne Villa is centrally located a well budget and beautiful home stay in Lansdowne. 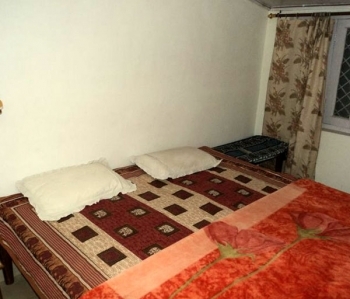 The villa is located at the center place of Lansdowne, Main Gandhi Chowk (Sadar Bazar) of Lansdowne Town. Lansdowne Villa has open space for sitting , one glass room is also built in ground floor to enjoy tea coffee or some meeting etc. But real beauty of Lansdowne Villa is a tree house which provides awesome view of Gandhi Chowk and nearby places, Tree house is enjoyed by all guest for sitting purpose and evening / morning tea coffee etc. Lansdowne Villa is located very close to the Gandhi Chowk in Lansdowne and Taxi Stand of Lansdowne. Lansdowne Villa is the home of six well maintained rooms attached with all modern amenities & facilities like clean toilets with running hot & cold water, Color television etc. A kitchen and a fridge is shared by each room in Lansdowne Villa. There is no in-house restaurant or dining facility in Lansdowne Villa. Since Lansdowne Villa is located at centre place in Lansdowne market, there are numerous restaurants available to enjoy breakfast , lunch and dinner. Restaurants also provide home delivery service for breakfast , lunch and dinner etc. Sight Seeing and travel arrangements can be booked on demand as taxi stand is located very near to Lansdowne Villa. The villa is centrally located in the main market of Lansdowne. One can reach Lansdowne town via Kotdwar (40 kms). Nearest railway station is at Kotdwar and one can board bus or taxi from Kotdwar to Lansdowne. Jolly Grant airport in Dehradun is the nearest airport for reaching Lansdowne at a distance of 140 kms. But Delhi airport at 245 kms distance will be much better option for reaching Lansdowne.